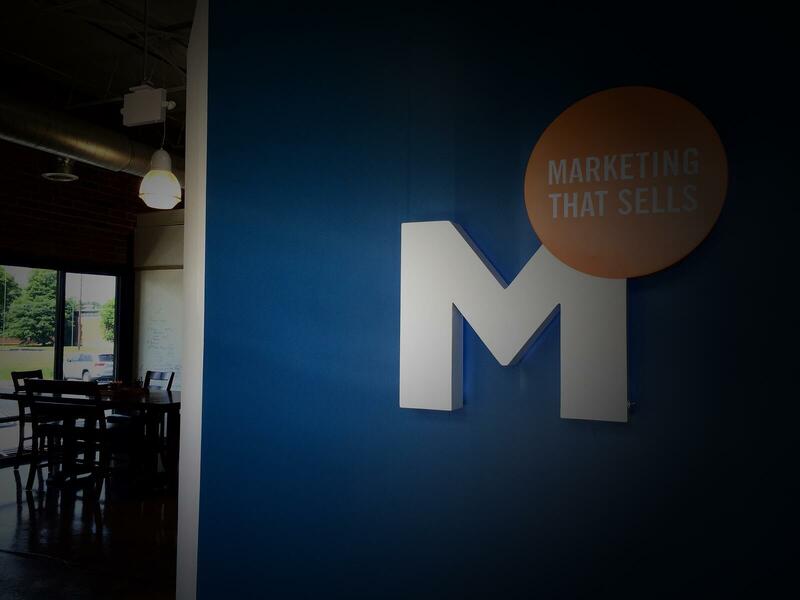 Considering what martech to leverage can feel a lot like going to the candy store. Everything looks good, and you may not be able to stop the compulsion of wanting to try everything out all at once. However, too many choices can quickly leave you feeling overwhelmed with an ensuing headache to boot. But when it comes to selecting the right marketing technologies for your business, you can’t let the wide variety of flavors or the constant debut of new tastes create chaos. Investment in martech, like other business decisions, requires you to make intentional choices based on your company’s goals and buyers’ unique characteristics. So, whether you have built out a robust marketing technology stack or are looking to implement a variety of new tools, we’ve compiled five questions that, once answered, will ensure you develop a collection of resources that create value and efficiency for your marketing program. This is an excerpt from our recent presentation: How To Build a Winning Martech Stack. Check out the slides below. Question 1: What are you really trying to accomplish? Marketing technology, while useful, is not a strategy. Have you ever gone to the grocery store and then forgotten what you were there for? If so, you’ve probably found it’s easy to avoid this situation by making a grocery list. Part of selecting what tools to use depends on your goals. This means putting fingertips to keyboard and documenting what your goals and objectives are, taking care to ensure they align with the business’s overarching goals. If you’ve previously put a strategy for marketing technology in place, revisit it! Do a gut check on the goals you settled on previously and ensure they are still in line with the direction you’re currently moving in. Question 2: Are your marketing and sales teams speaking the same language? You don’t work in a vacuum, and with only 26 percent of organizations reporting tight marketing and sales alignment, there’s probably room for improvement in the marketing-sales relationship within your company. 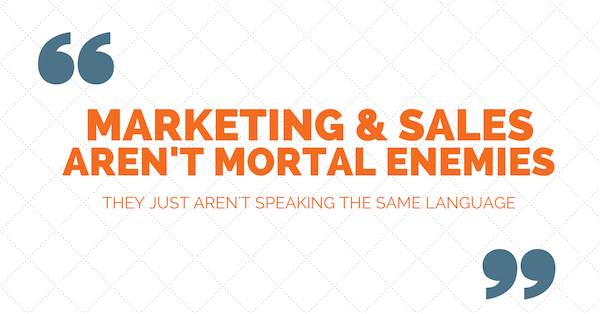 In our previous blog Language Arts: Why Marketing and Sales Alignment Start with Vocabulary, we discussed that the reason marketing and sales don’t align is often because they aren’t speaking the same language. Read it here. After you’ve settled on your goals for marketing technology, make sure you have a clear understanding of who needs to be involved in achieving those goals and establishing joint procedures with sales for evaluating, purchasing, and implementing new tools. Work together in defining what success looks like and what metrics need to be tracked. You’ll have a better chance of seeing a higher return on your martech investment by working collaboratively as an organization. Question 3: What is the state of your current martech environment? How can you expect to move forward and implement new marketing tools if you don’t know where your gaps are or what technology your company currently has? The benefits of auditing your current martech ecosystem are twofold. First, you are able to identify any waste in your current spend. Companies often end up paying for a subscription only to forget about it until someone in accounting finds out money has been leaking. Take a close look at all the solutions you currently have, drop ones that don’t align with your goals, and learn if there are ways to get additional value out of ones that do align. This can potentially keep you from having to negotiate for more budget. Second, taking inventory helps you understand what gaps exist in your current martech stack and provides you a better understanding of what you need. What goals are you unable to work toward with tools you currently use? Do the new tools you’re evaluating fill gaps or offer better functionality than existing tools? How will the new tools integrate with the ones you currently have? Question 4: How does this tool align with your funnel? We had a joint marketing event with our client Calero, a leading global provider of Communications and Cloud Lifecycle Management (CLM) solutions, and one thing they mentioned as being the most important thing to do when building your martech stack was to align your marketing tools to your funnel. This is a great tip for evaluating individual solutions; if the tool you’re evaluating doesn’t align with your current funnel, then it’s not a good fit for your organization. A great way to discover if your tools align with your funnel is to make a visual funnel with tools mapped to each stage. Not only does it provide you with a representation of your martech ecosystem, but it also gives you an idea on how to serve content to your target audience and the process and people needed to ensure an effective and seamless customer experience throughout the funnel. Question 5: Will this marketing tool help or over complicate your current process? Not only do you have to take stock of your current martech environment, but you also have to look at how new tools will impact your current processes and workflows. As repeated throughout this post, it's easy to jump the gun only to realize that a tool creates more problems than it solves. Start slow and take the time to create a playbook and a roll-out strategy. It will save you time in the long-run. By having a clear understanding of who needs to be involved and assigning roles on who's going to be accountable for the implementation, training, and management of the marketing tool, the easier it will be to attain the goals you have established. A great way to ensure that each marketing tool is appropriately vetted is to create a technology alignment framework. The framework, designed by Sirius Decisions, helps sales, marketing, and product organizations take a systematic approach to the evaluation of technology vendors and how they fit within their technology infrastructure. It’s easy to get caught up in the latest product craze, but doing so can be detrimental if you don’t approach it carefully and purposefully. It’s not about the technology but how you use the technology to reach and exceed your goals. Every situation is different and what works for one organization may not necessarily work for the other. So, the next time you find yourself at the candy store, make sure to remember what your initial plan was. Yes, try some of the sweets, but remember that not everything tastes as good as it looks and that too much candy can actually give you a stomach ache. 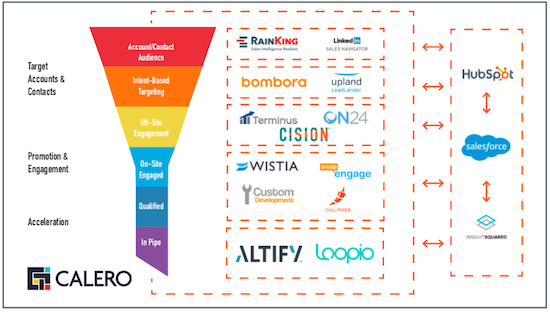 Ready to build out your martech stack? Download our Martech Stack Worksheet to get started.